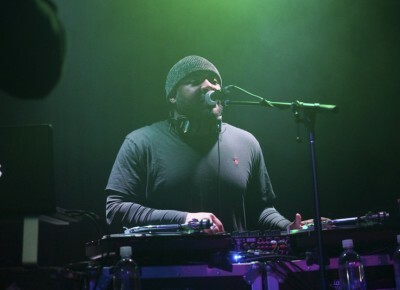 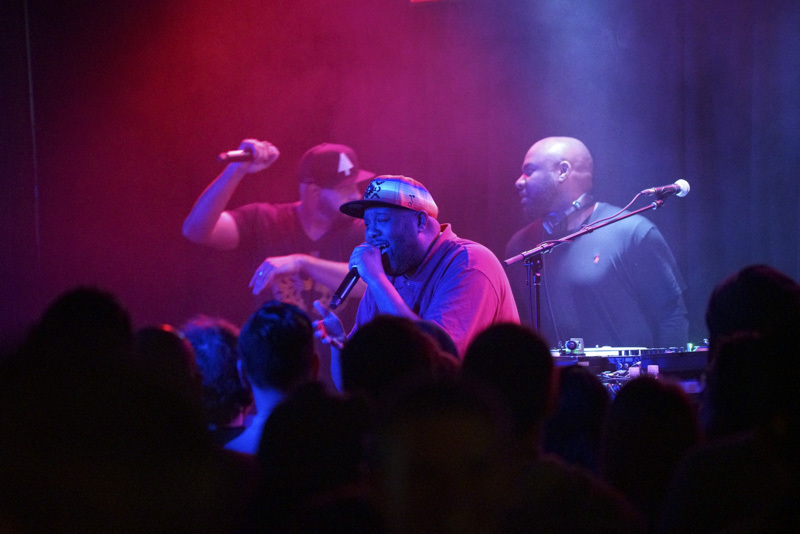 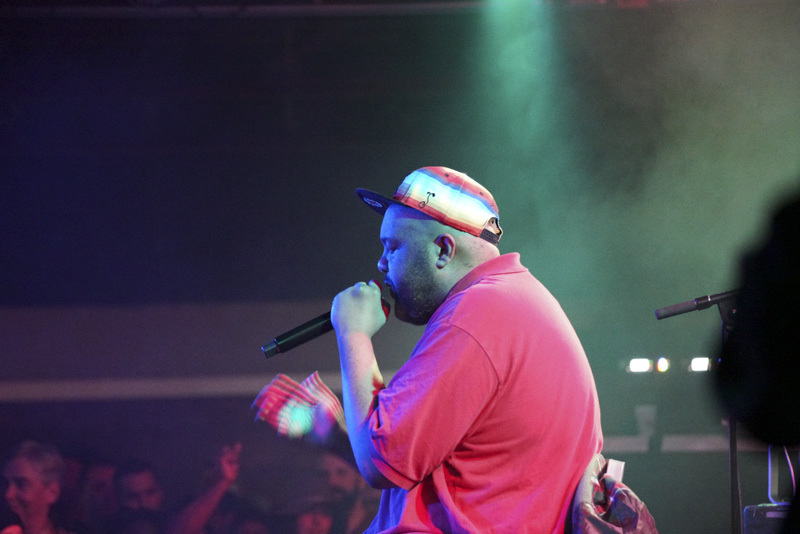 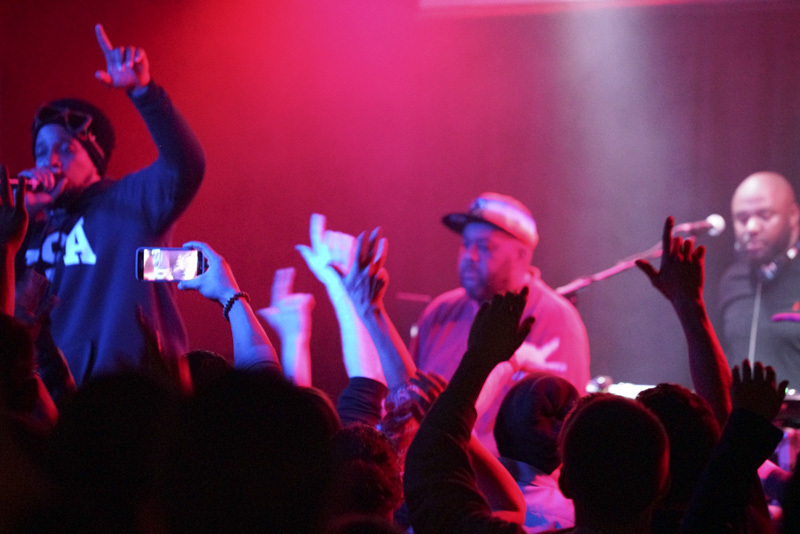 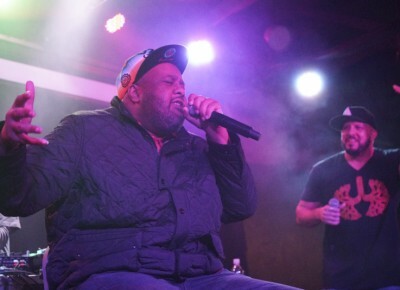 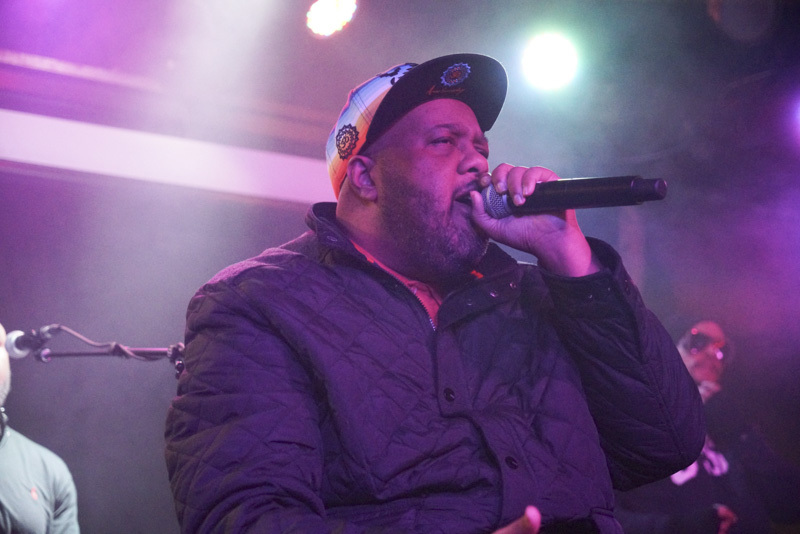 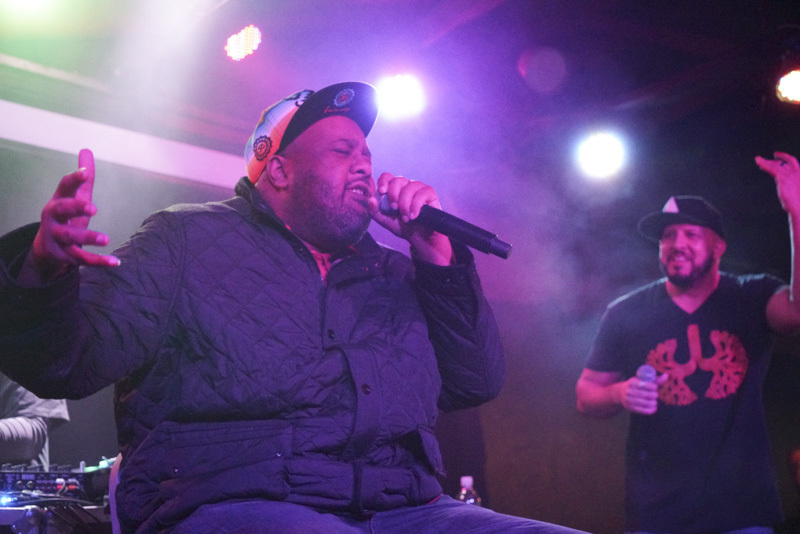 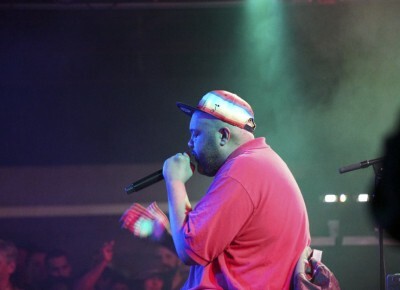 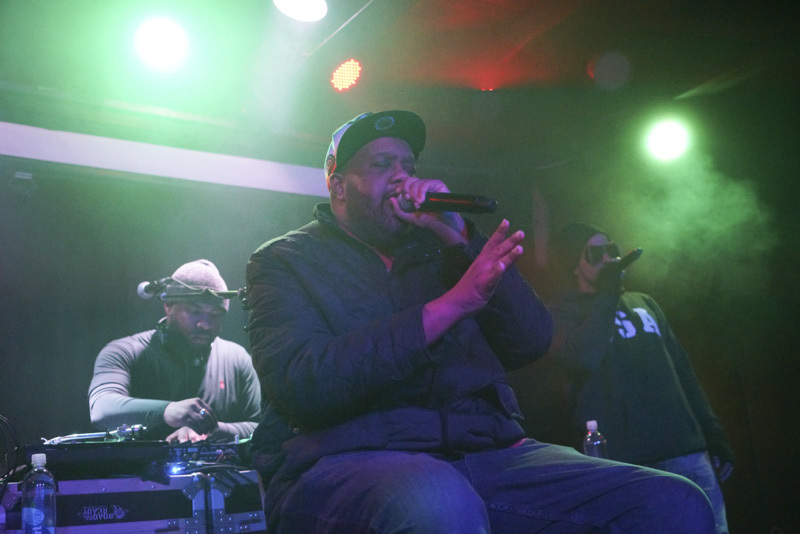 In a hip-hop career that has stretched nearly 20 years, Blackalicious has earned respect the old-fashioned way—rising through honesty, commitment, and artistry. 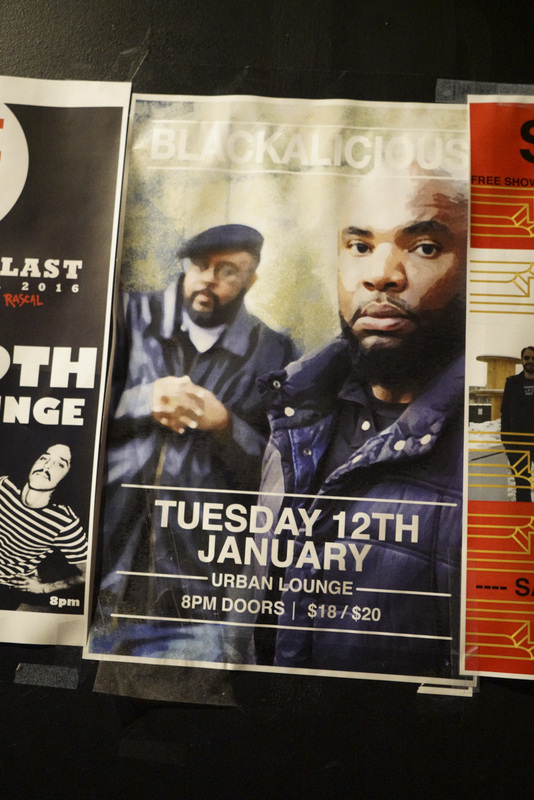 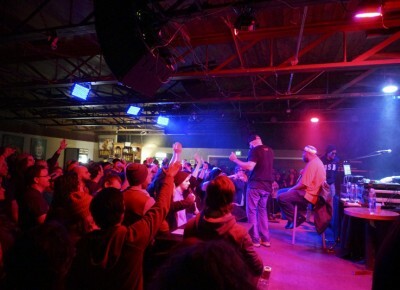 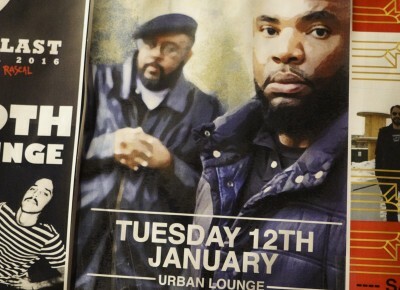 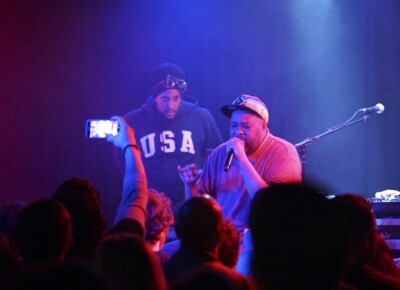 Blackalicious are an American hip-hop duo from Sacramento, California made up of rapper, Gift of Gab (born Tim Parker) and DJ/producer, Chief Xcel (born Xavier Mosley). 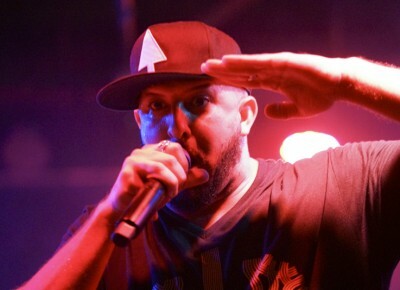 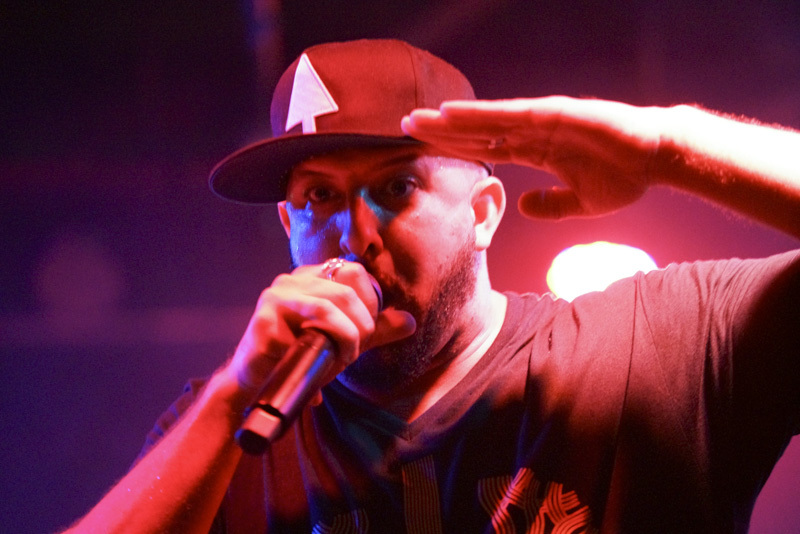 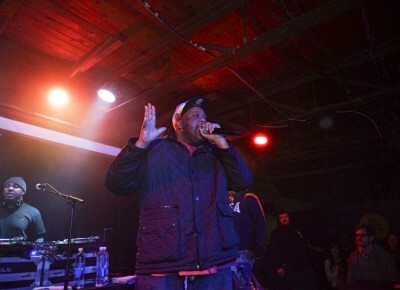 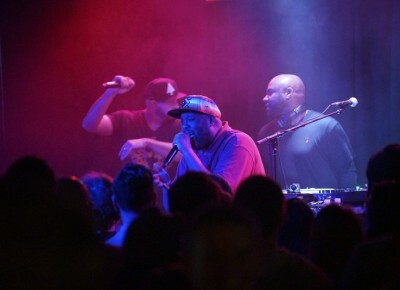 They are noted for Gift of Gab’s often “tongue-twisting,” multisyllabic, complex rhymes and Chief Xcel’s “classic” beats. 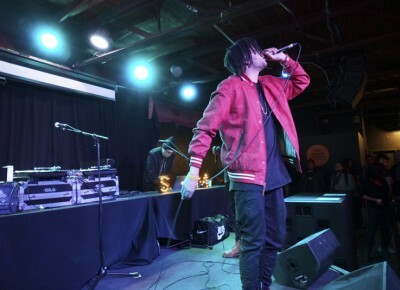 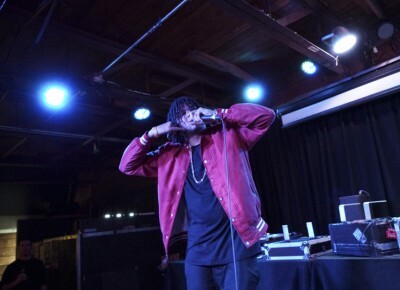 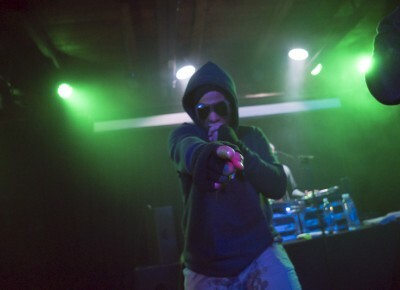 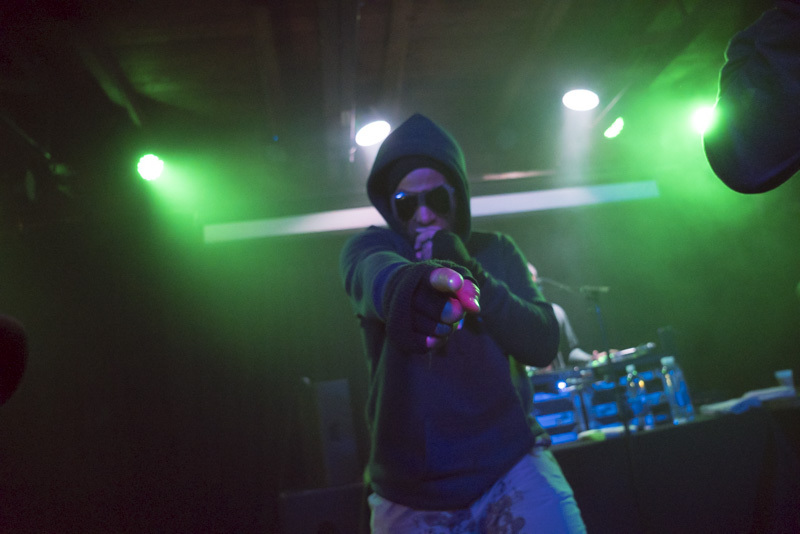 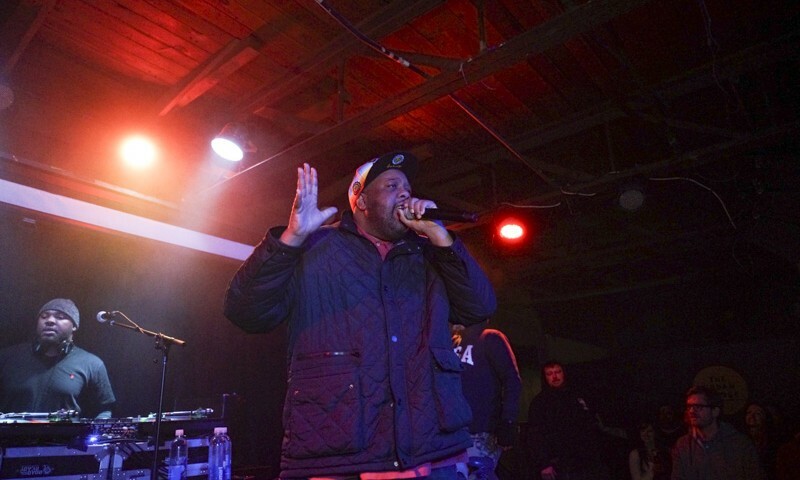 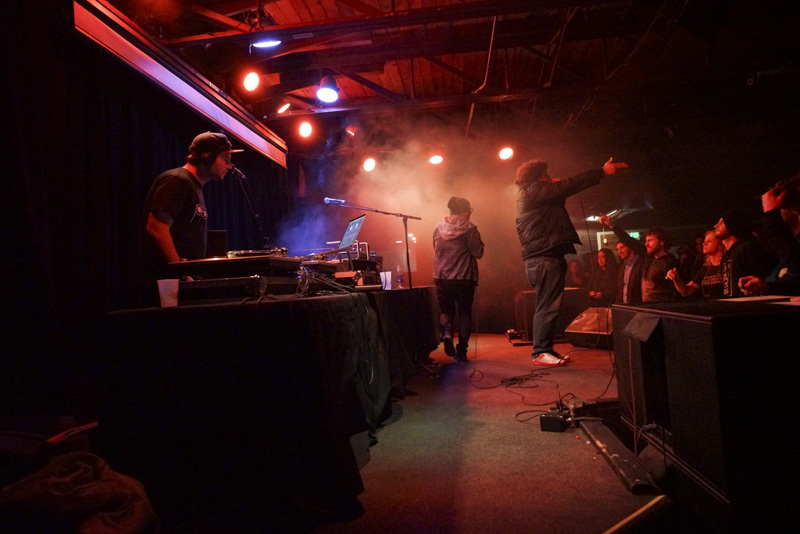 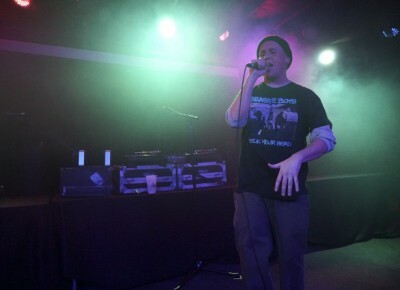 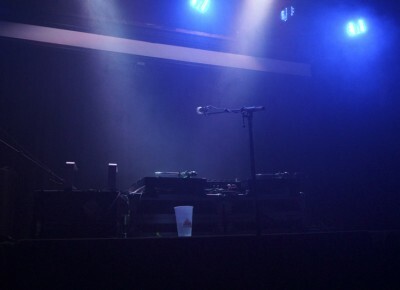 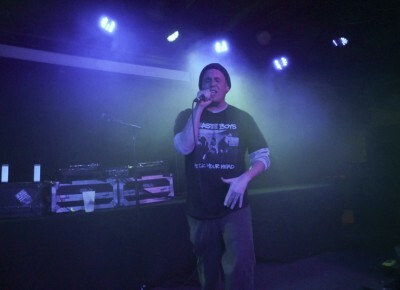 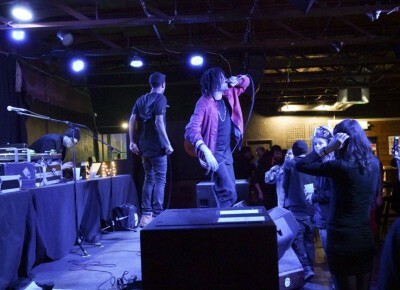 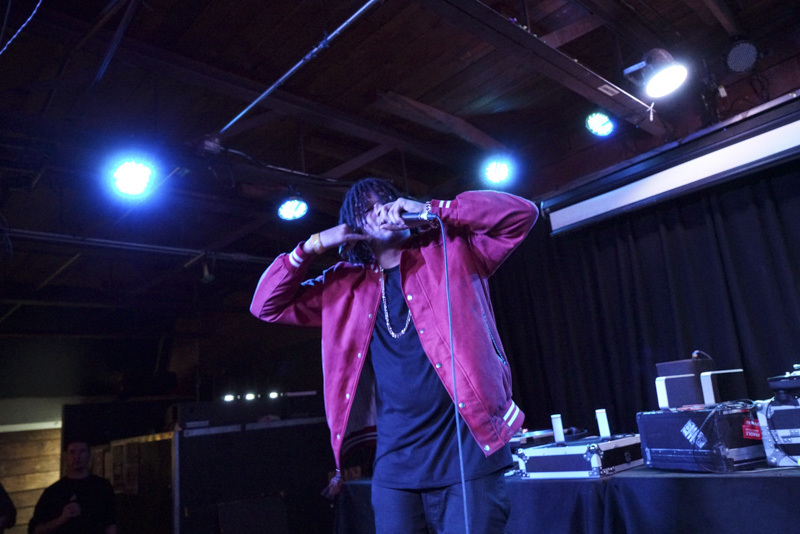 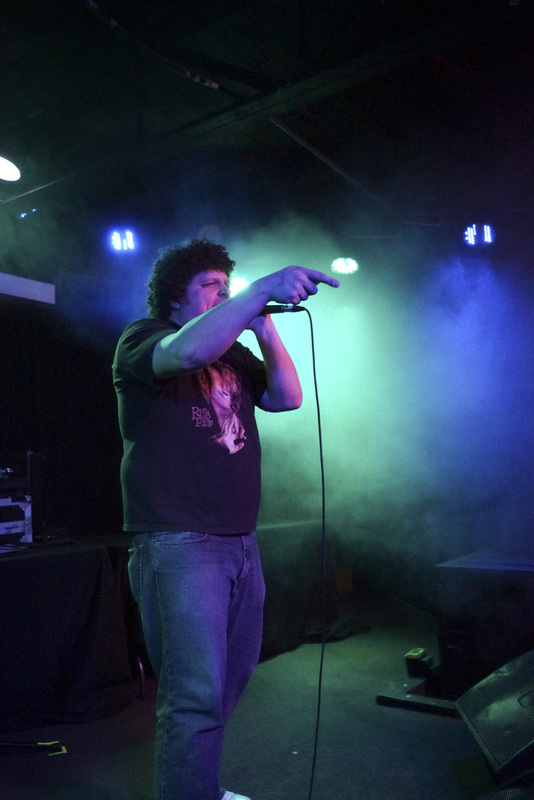 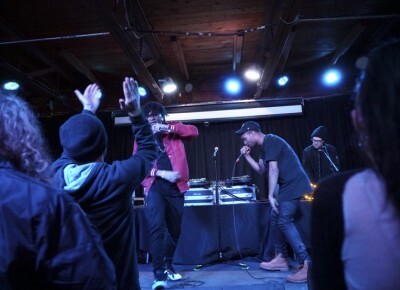 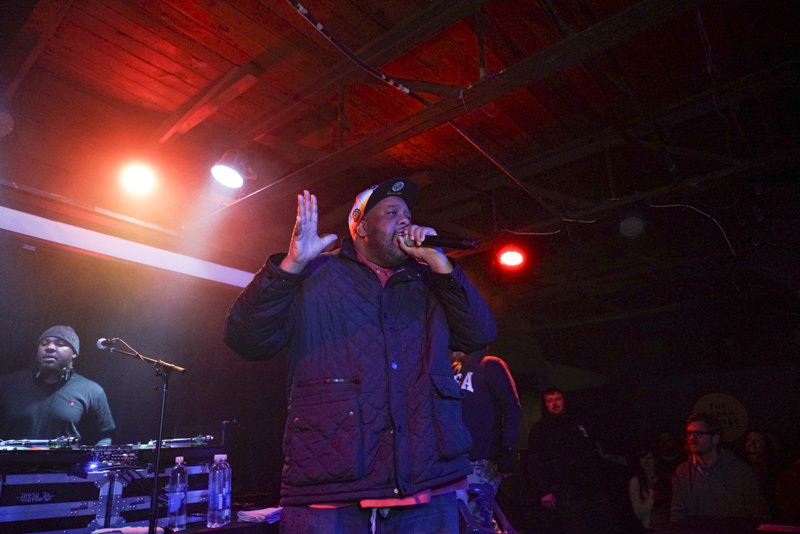 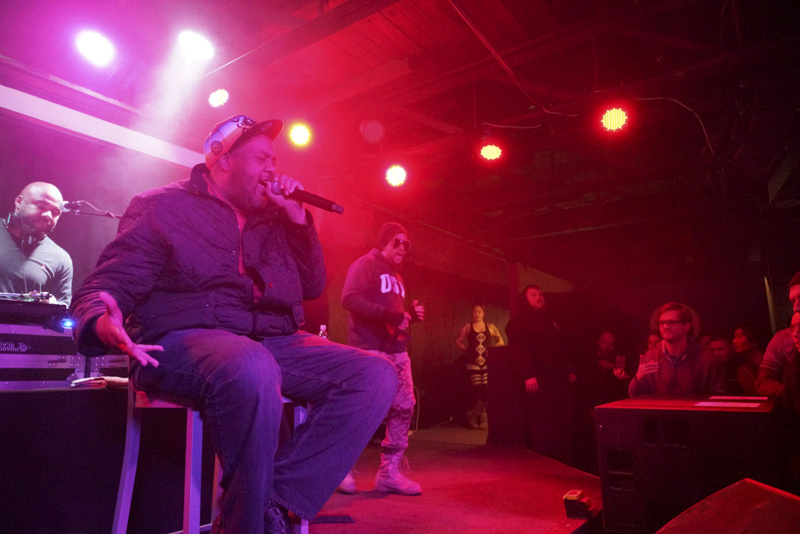 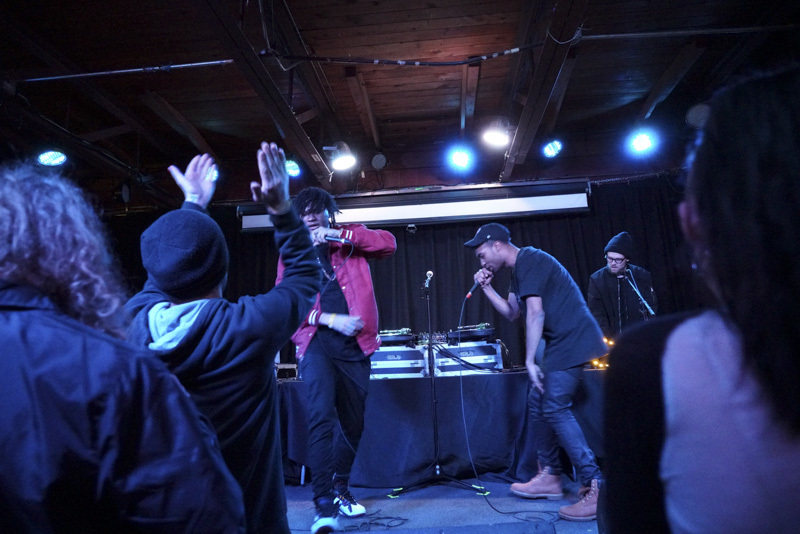 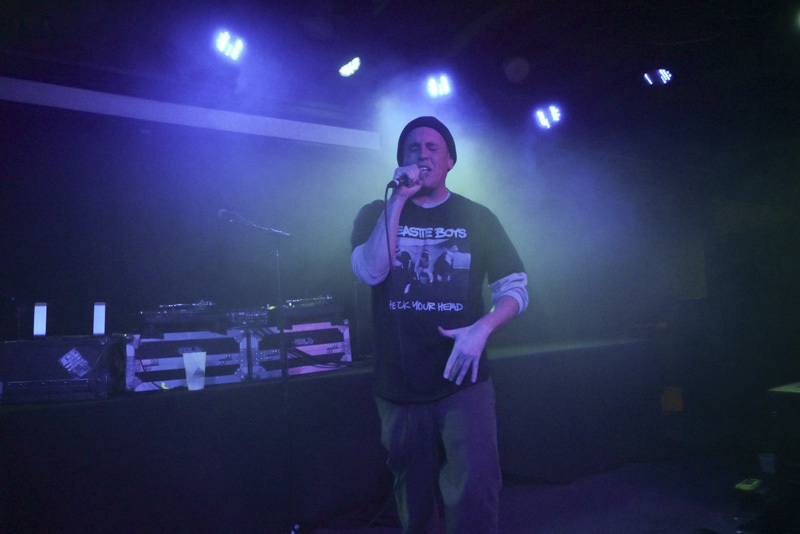 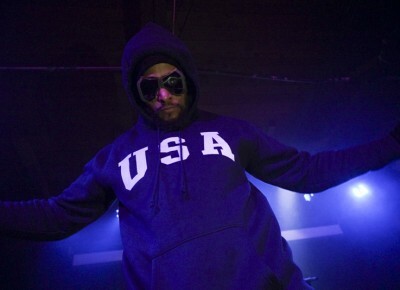 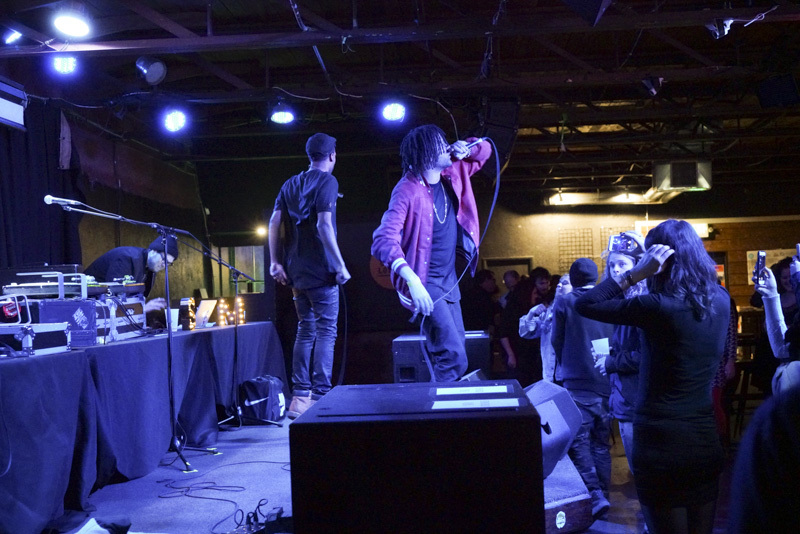 Starting off this hip-hop show was Swell Merchants. 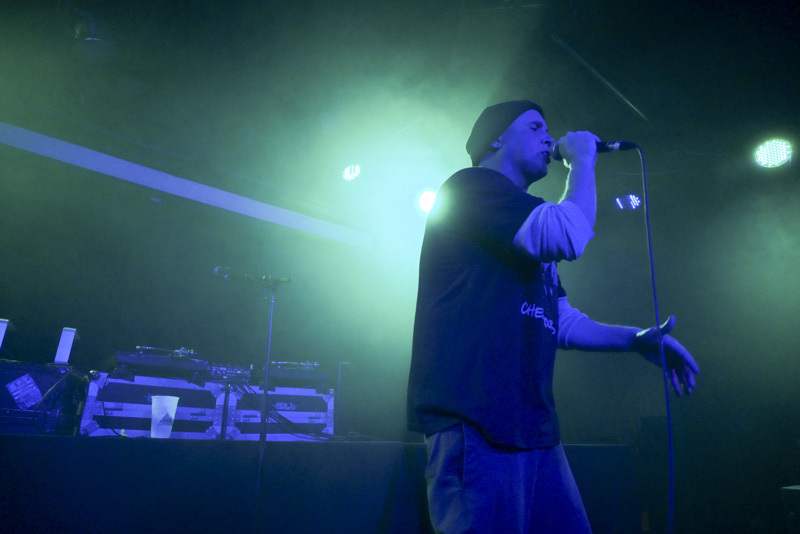 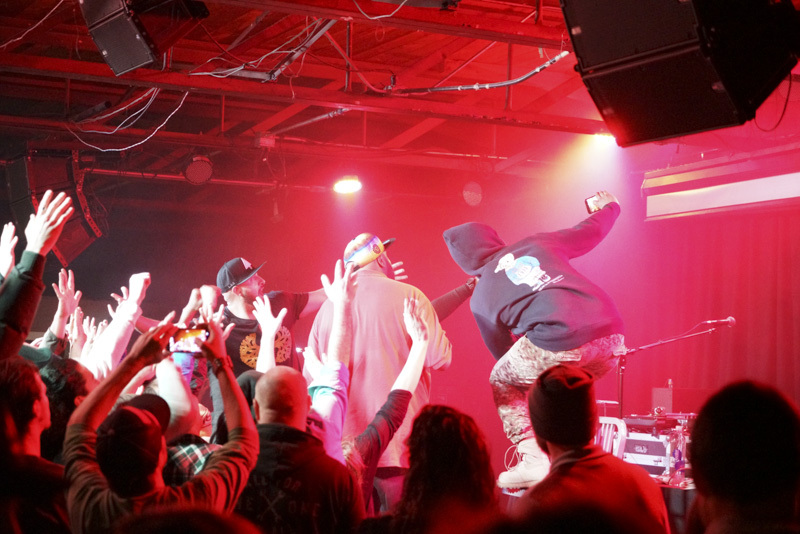 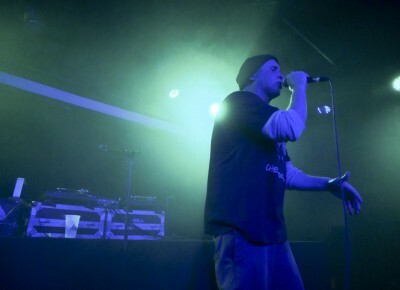 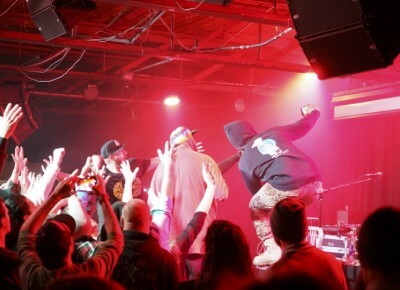 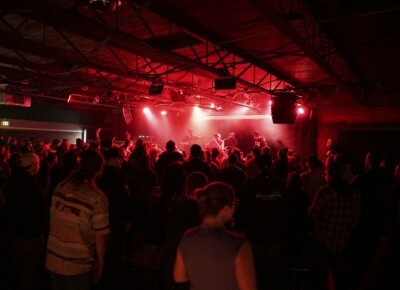 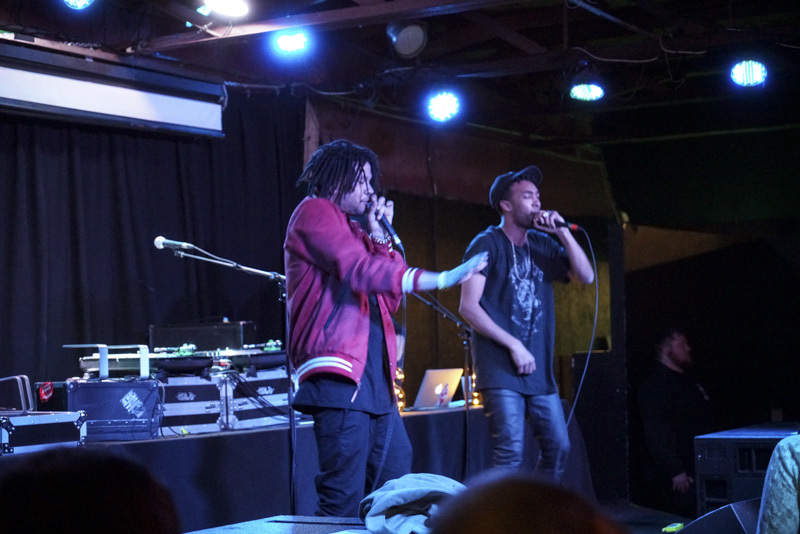 They came out full of energy and got the crowd ready for a fantastic night of hip-hop. 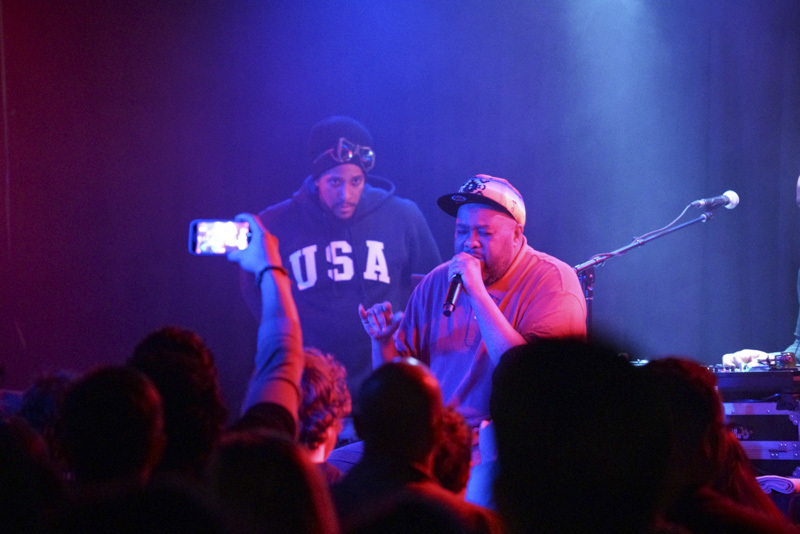 Young A$$ Nico showed the crowd why they belong on the stage with their Happy Days song with a reference to Dennis Rodman. 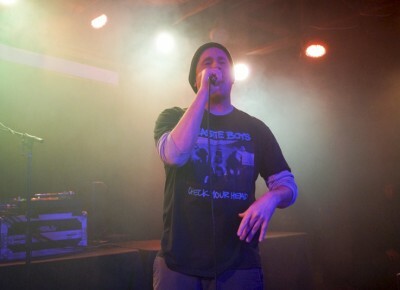 Up next was House of Lewis from Provo, Utah. 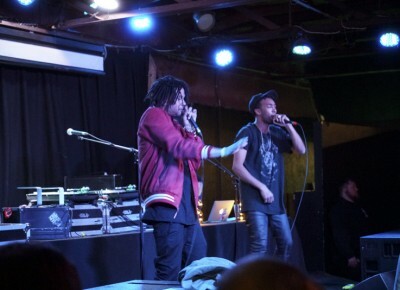 They are not your typical hip-hop band, but once they start singing you instantly fall in love with their style. 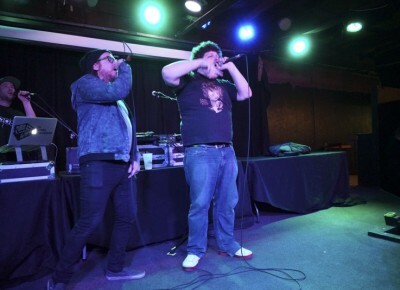 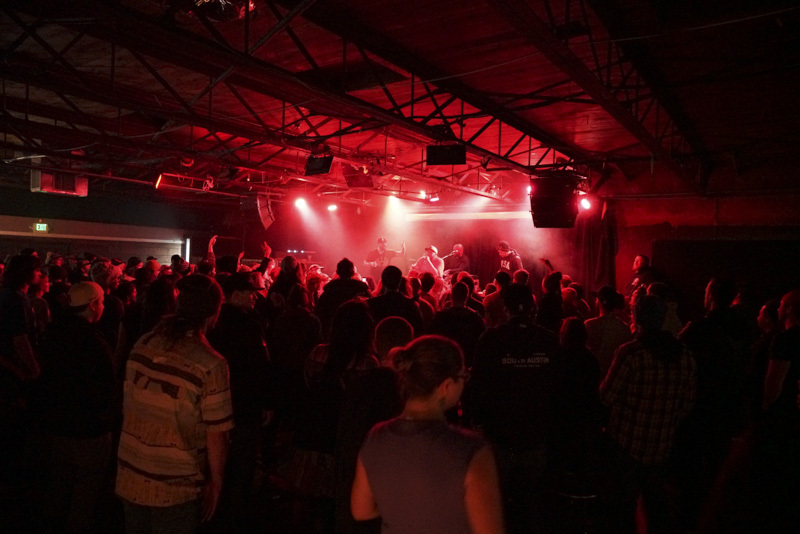 They are quickly making a mark for themselves with winning “Best of Utah” music competition from City Weekly. 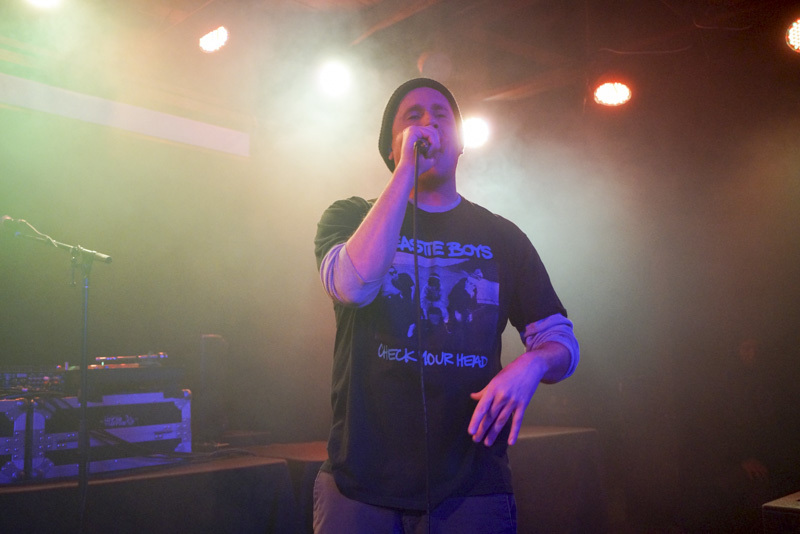 Rhyme Time came out on stage with knowing that they are one of the top hip-hop bands in Utah and showed the crowd why they won that competition. 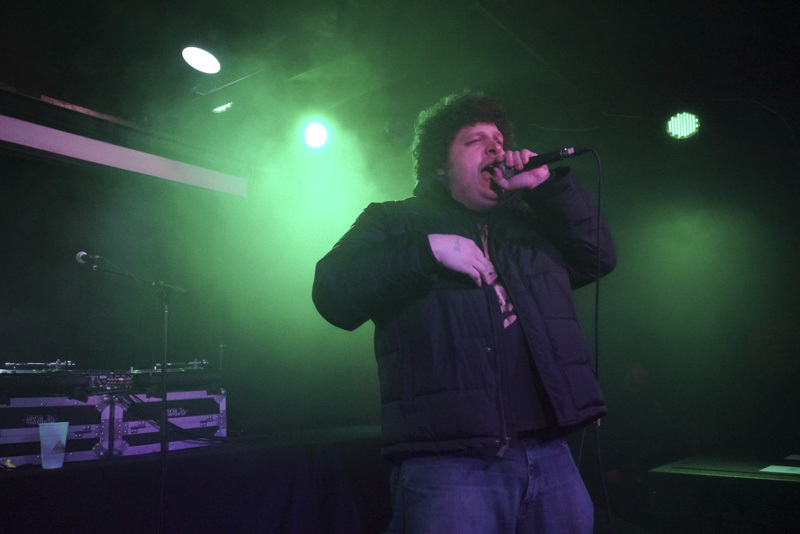 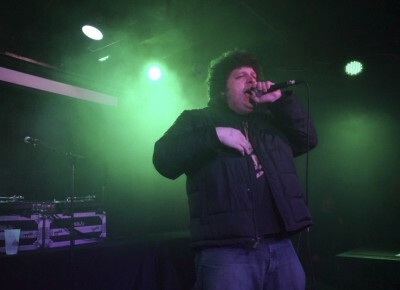 Local rapper Dusk was up next and he came out throwing some lyrics that the crowd loved! 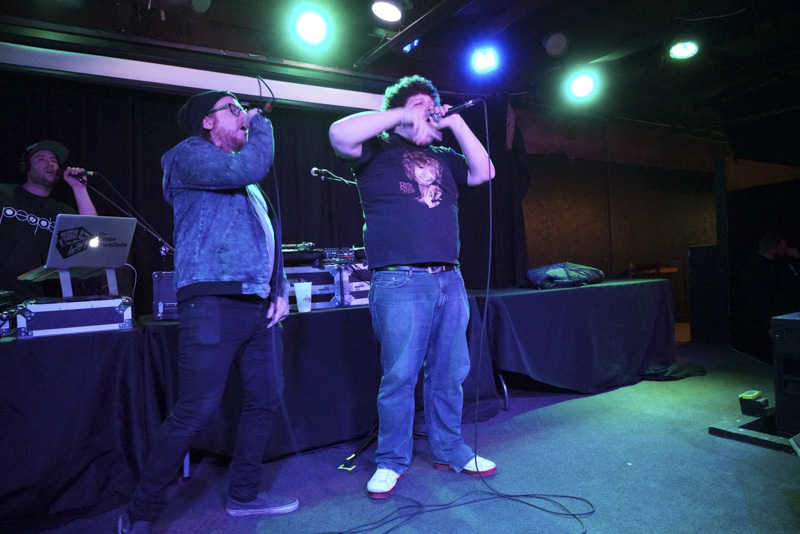 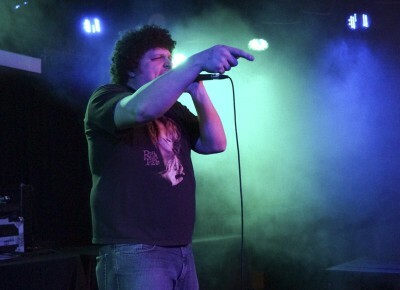 Dusk has been on the local seen for some time and played “Name Droppin,” one of their new songs. 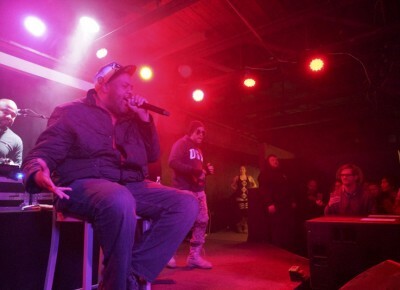 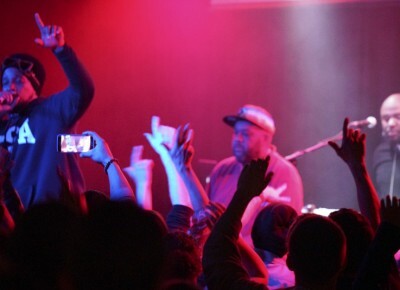 Blackalicious came on stage with a full crew for the show. 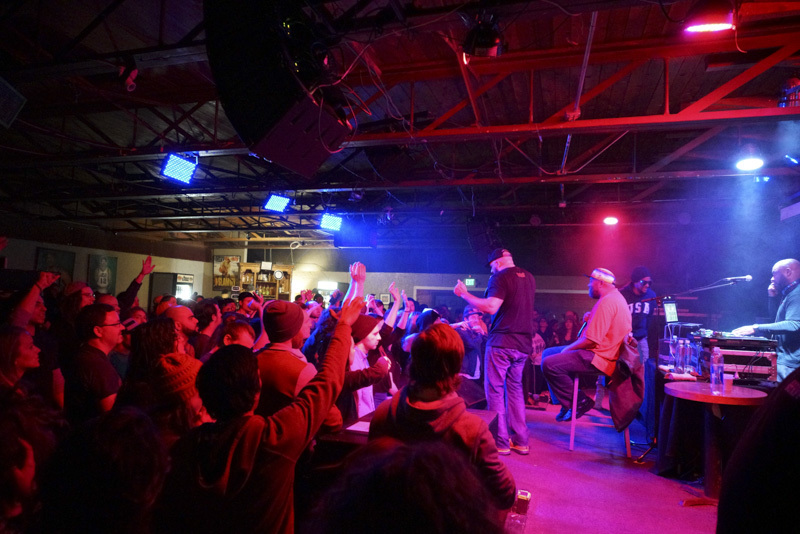 Gift of Gab, Chief Xcel, Lateef the Truthspeaker, and Dr.ama of the Livesavas all came out full of energy for the packed house. 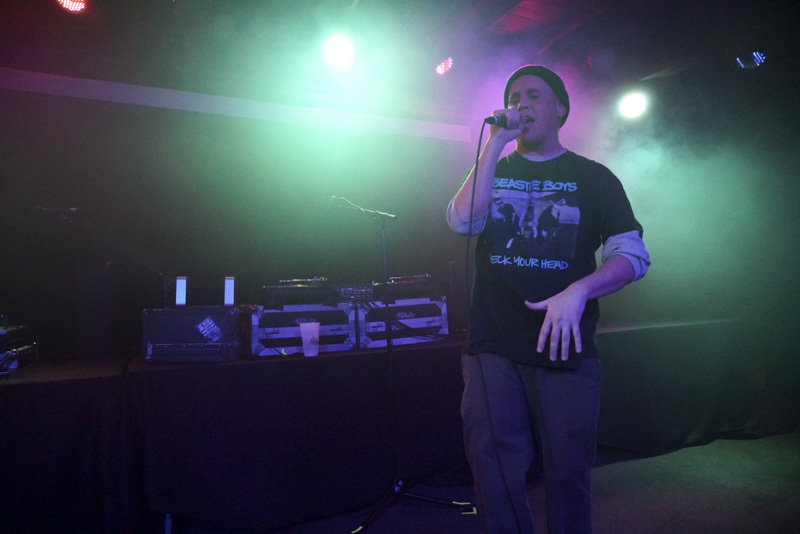 Dr.ama started things off and got the crowd going for the Gift of Gab to come out. 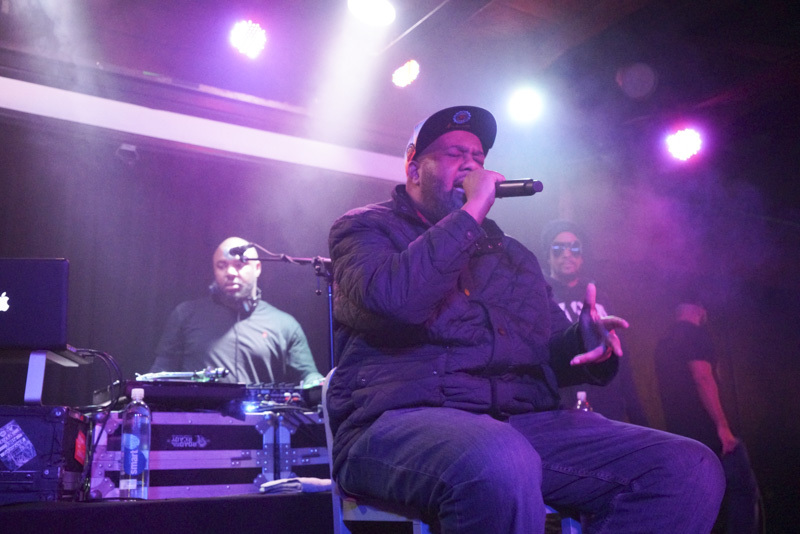 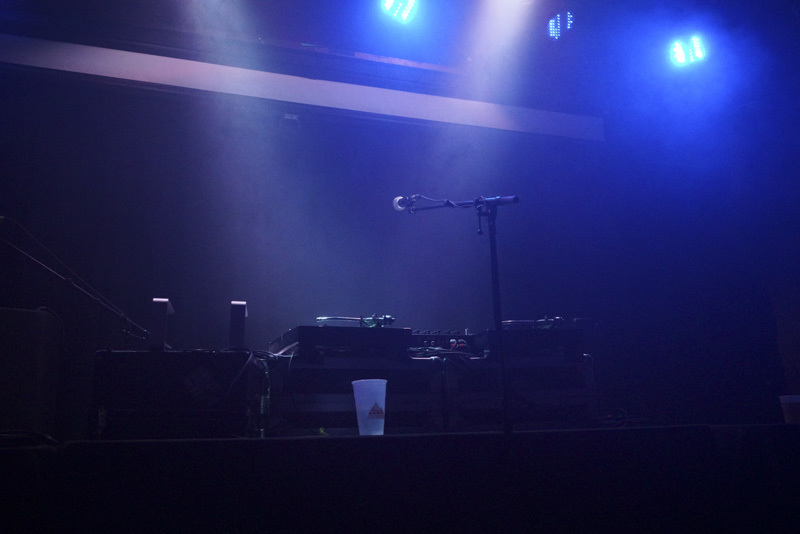 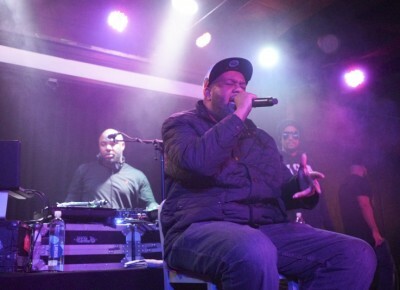 Gift of Gab had an injury and was told by doctors to not perform, but in real hip-hop fashion the show went on. 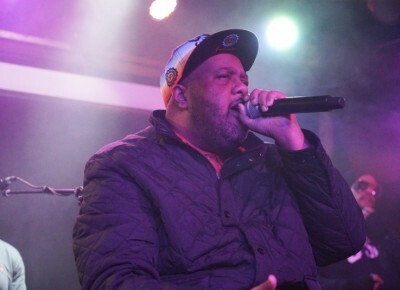 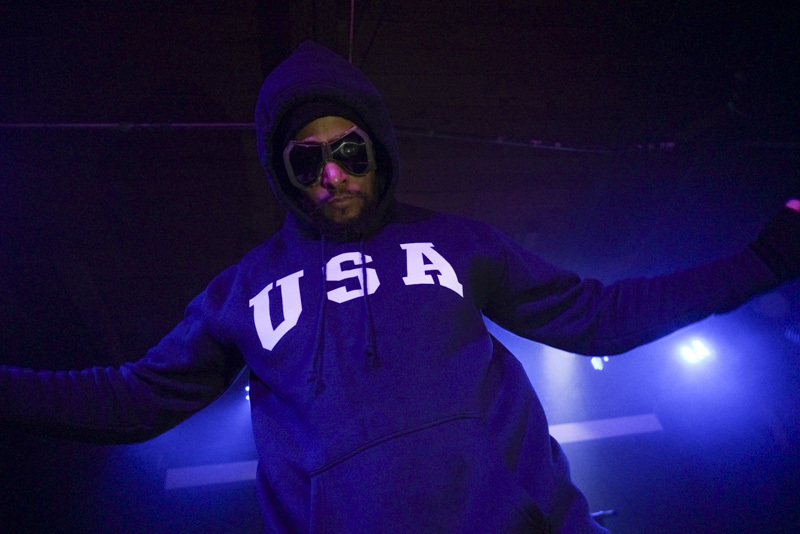 Even though the Gift of Gab was confined to a chair, he still threw his tongue-twisting, multisyllabic, complex rhymes. 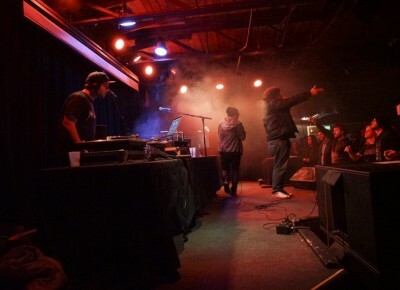 The crowd was dancing all night long to the beats and crowded around the stage to witness this incredible hip-hop show.